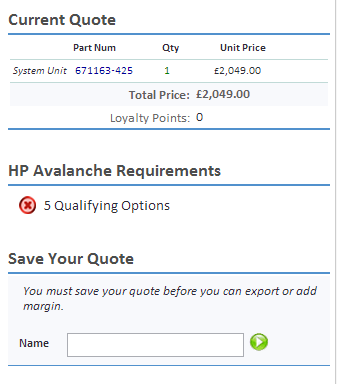 Now HP iQuote Users can save a quote immediately – always. Previously the Shopping Card/Basket needed to have a minimum of 1 option included with a System Unit. Now you can save a System Unit only quotation. This is to improve ease of use but of course keep adding the Options ! As before to access all of the Export functions simply Save the Quote.